"St. Mary's Confirmation Mass, Tuesday, 6 p.m. Principal Celebrant, Archbishop George H. Niederauer, with Fr. Cyril O'Sullivan and Fr. Joe Richard. 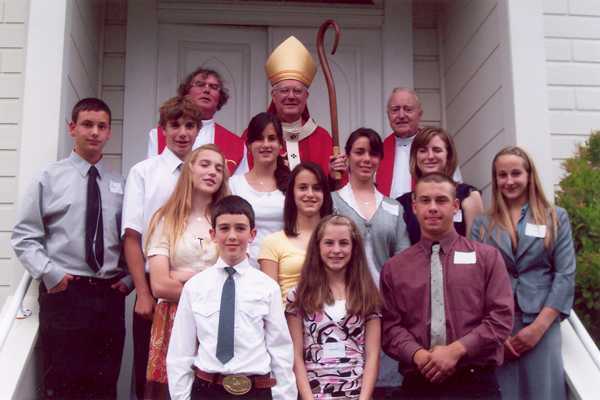 We congratulate Ashley Arndt, Daniel Charles, Lucas Charles, Andrea Dolcini, Brianna Dolcini, Danielle Dolcini, Riley Dolcini, Colin Gallagher, Emily Gallagher, Stephanie Rowley, TJ Rowley, who are confirmed into the Catholic Faith, May 1, 2007."